This is a story of regeneration. A small vegetable van was gifted to the ecosystem here. The van came from the society and therefore the idea was to give it back to society with the intention of service in mind. 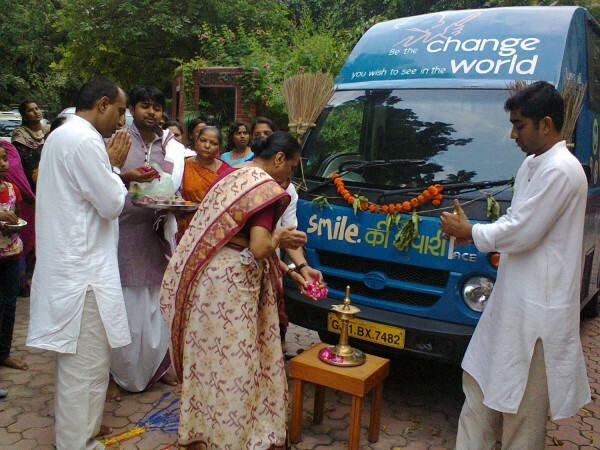 This van was painted with lovely colorful smileys with the intention to take it into villages and attract pre-school and primary school children and gives them a joy ride. And as the children have fun in the smile ki sawari, volunteers and workers cut their nails, comb their hair and slowly introduce them to the idea of sanitation. 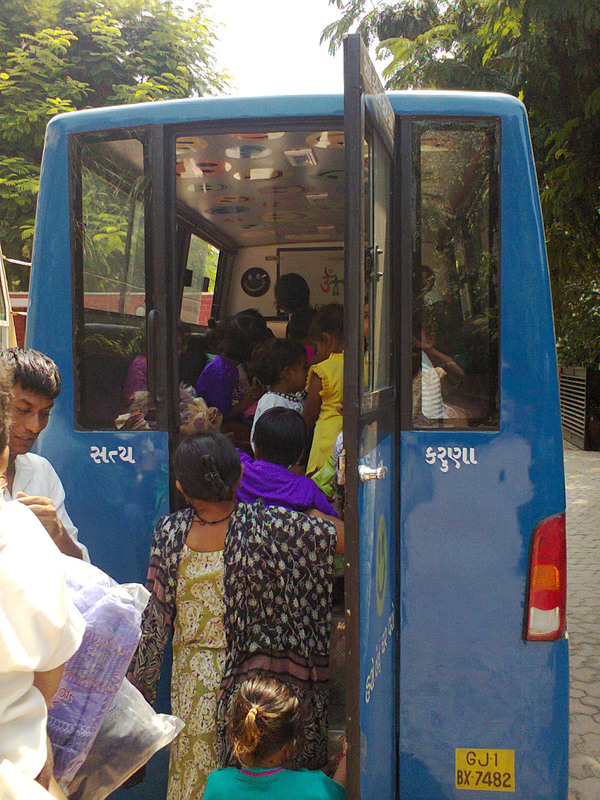 Smile ki sawari has travelled to many villages around Sughad with stories of little children jumping into the van, coming to ESI and learning about personal hygiene and sanitation. Children take small vows that help cultivate good practices and habits and in turn increase their confidence. One example of such practice is children taking a vow of throwing waste in waste bins only. These are little seeds planted that will blossom in years to come in unknown ways.